Washington is making great strides to afford easier access to commuters while at the same time aiding disabled travelers in their travels. To help speed the boarding process, Metro has been installing new floor markings on platforms around the system. Other markings alert people with disabilities to the best place on the platform to stand to board in order to avoid uneven surfaces or large gaps between the platform and the floor of the train. 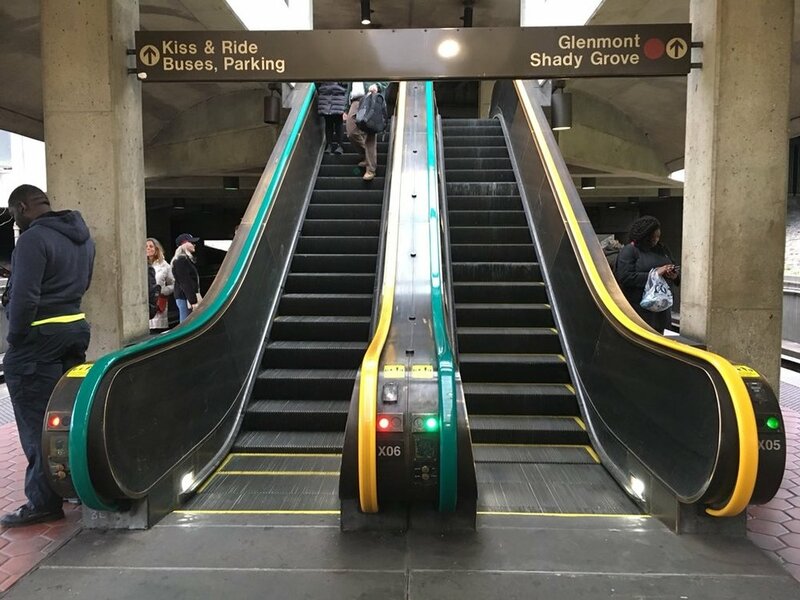 Metro has installed new color-coded rubber handrails on the escalators at Fort Totten station, an unexpected visual cue that is drawing hearty approval — and some criticism from Metro riders. Any way that commuters can improve the daily grind of the trip, has to be a welcome change.